Full Year 2018 Private Equity M&A Trends Report - Berkery, Noyes & Co., LLC. The Finance vertical’s largest sponsored deal in 2018 was a Blackstone Group led consortium’s announced acquisition of a 55 percent stake in Thomson Reuters Financial & Risk division for $11 billion. The Healthcare vertical’s largest sponsored deal in 2018 was Veritas Capital and Evergreen Coast Capital’s announced acquisition of athenahealth, a provider of network-enabled services for hospital and ambulatory customers, for $5.6 billion. The Education vertical’s largest sponsored deal in 2018 was Platinum Equity’s acquisition of Josten’s, which provides school related products such as yearbooks and class rings, for $1.3 billion. 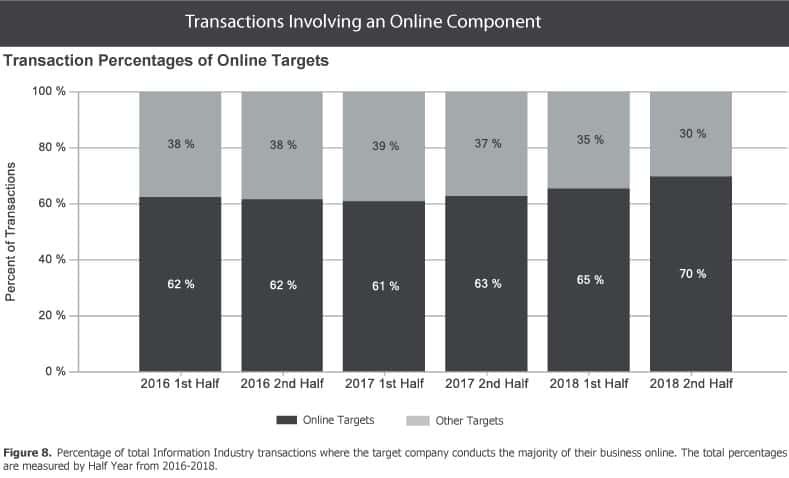 Total transaction volume in 2018 increased by ten percent over 2017, from 821 to 902. 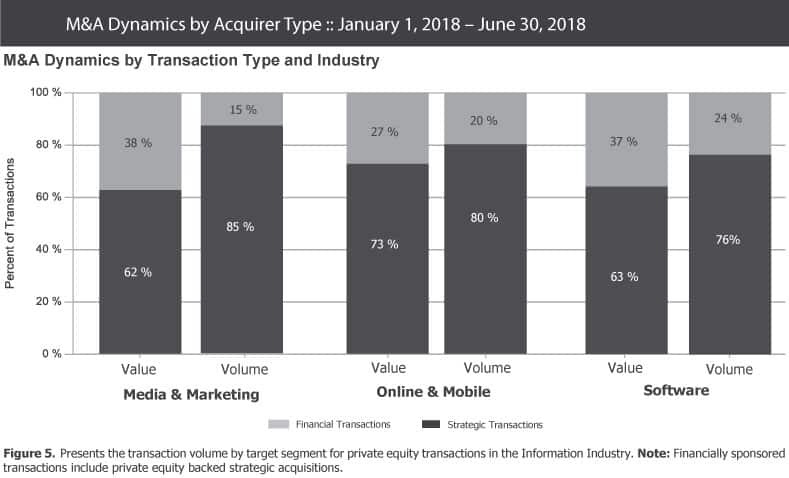 Total transaction value in 2018 rose by 40 percent over 2017, from $65.31 billion to $91.53 billion. The median revenue multiple shifted slightly from 2.6x in 2017 to 2.7x in 2018. 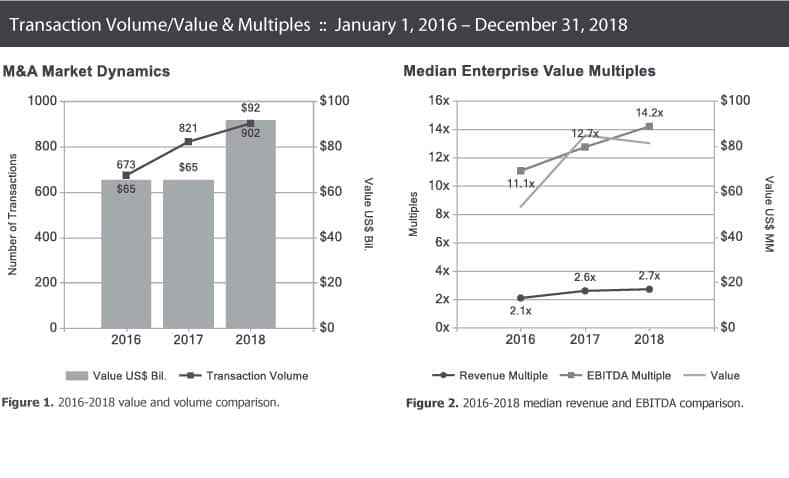 The median EBITDA multiple improved from 12.7x in 2017 to 14.2x in 2018. 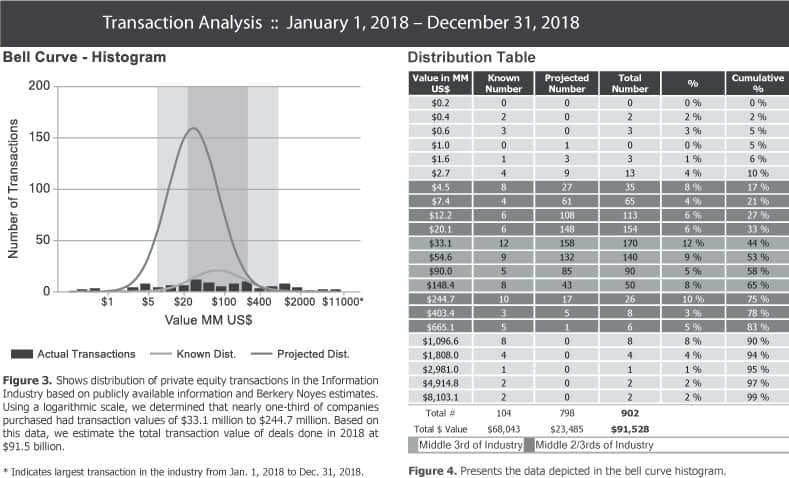 Berkery Noyes tracked 2,396 private equity transactions in the Information Industry between 2016 and 2018, of which 372 disclosed financial terms, and calculated the aggregate value to be $171.80 billion. Based on known transaction values, we project values of 2,024 undisclosed transactions to be $47.05 billion, totaling $218.85 billion worth of transactions tracked over the past three years. 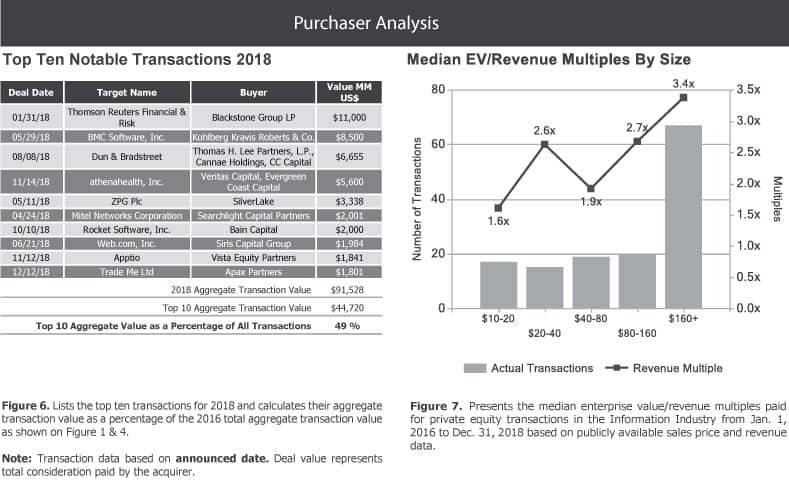 Disclosed median enterprise value multiples for all segments combined in this report during the last 36 months were 2.5x revenue and 12.6x EBITDA.